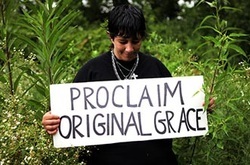 This women is an artisan in a residential program in Tennessee that provides housing, food, dental, medical, therapy, education and job training for women who have survived lives of violence, prostitution and addiction. I think most people want to make a difference in the lives of others, but often they don’t know how. Wanting to make a difference in my home, in my new community, in the world, but completely unaware of how to do it. I wanted to fulfill the commandment of Christ to make disciples in all the nations. It was a command I had been neglecting. I knew this command went deeper than monetary support with our sponsor child and missionary support. He was calling me to take action. I was excited at the prospect and wanted to get messy, get loud, get moving, but I still had a husband and seven kids to care for. That’s when I sought out Trades of Hope. They are doing the work. They aren’t just throwing money at the world’s problems, they are changing lives by empowering women; strengthening community by giving hope; transforming generations by breaking harmful cycles; and because of that they are making disciples in all the nations. Thanks to Trades of Hope I can. I can actively pursue helping others, building relationships, being an advocate, making disciples, and still keep up with my children’s neverending laundry. Life changing and Laundry? Amen, again! I am now a voice for a woman whose voice is lost across the sea, whose voice is stifled by government, pimps, and culture. I think you will want to be her voice too and the way to get her talking is wearing her handmade goods. When someone asks you about it, you tell her story and then her voice is heard once more. Let me know if you are ready to take it further than jewelry and home decor and want to be a laundry washing world changer too, by becoming a Compassionate Entrepreneur. I would love to have you join my team! 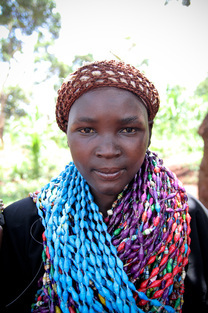 This woman is an artisan from a group in Uganda that feeds, educates, and encourages orphaned and vulnerable children and families in Uganda. I know I’ve been MIA from the bloggysphere before, this time my excuse was legit. We have picked up all we have known, everything our children were familiar with and left it behind as we transplanted from one coast to the other. It’s been tougher than tough. After months of loneliness, frustration, of loathing, I have sought the Lord and endured. It’s not a hundred percent, but I’m walking. I’m lonely, frustrated, and occasionally loathing but I’m holding His hand.